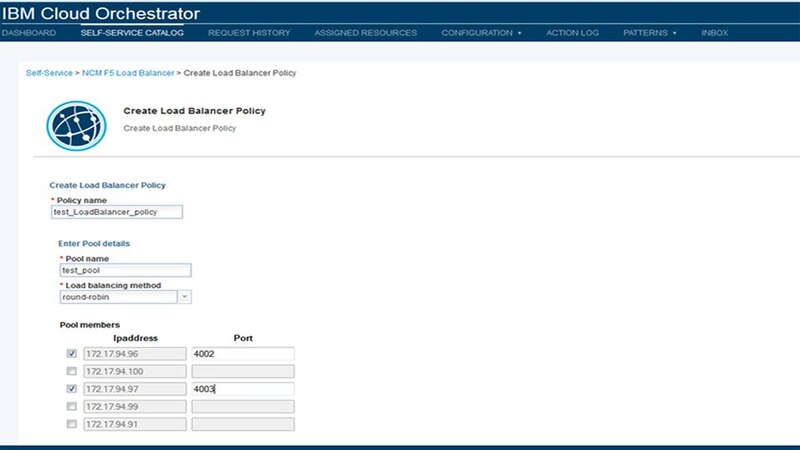 The IBM® Cloud Orchestrator Content Pack for F5® BIG-IP Load Balancer provides interaction between IBM Cloud Orchestrator and F5 BIG-IP Load Balancer devices. Using the F5 Load Balancer device, it helps create artifacts, including VLANs, route domains, self IPs, virtual servers, pools and monitors, and then aggregates and simplifies them into instances and policies. Once complete, it helps distribute the workload of an application between the virtual machines inside a virtual system pattern, and deploy them using Cloud Orchestrator. It also supports an application delivery controller plug-in through the Business Process Manager Content Pack. Manage a consistent, flexible and automated end-to-end service deployment that integrates the cloud with customer data center policies, processes and infrastructures across various IT domains. When multiple users access an application through one URL, the load balancer determines the virtual machine and system pattern that must deal with the request using a preconfigured algorithm. 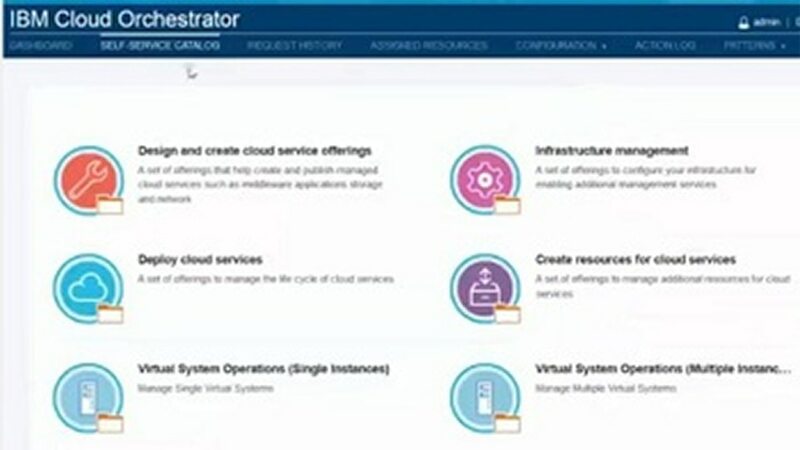 Use the intuitive, graphical tool in IBM Cloud Orchestrator to define and implement business rules and IT policies; connect the aspects of different domains into consistent automated and manual tasks.